Enjoy this website and keep on learning. I hope you found the things you were looking for or some interesting items. If you are not yet a stamp collector, I recommend that you embark on such a thrilling journey. You can use the items of this site for your personal enjoyment and enhancement but these items cannot be used for illegal purposes. 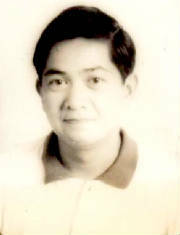 "Official Name, Titles Associated with the Philippines, National Symbols, Location and Description, Government, Socio-Political Structure, Languages and Dialects, Language Info"
"Education in General, Constitutional Basis of Philippine Education, Some Legal Bases of Philippine Education, Literacy Rate in the Philippines"
"Geography, Landscape, Natural Resources, Seasons and Climate, Minerals, Biodiversity, Nature Conservation and Protected Areas, Animal Info"
"General Information on the Philippines, Places, Manila, Quezon City, Tourist Spots, Provinces, Regions"
The theme of this website is: "People (PE), Places (PL), Nature (N), Animals (A), And Then Some (S)." The site is for general patronage and it is for wholesome reading or viewing. The site deals with my country, the Philippines and it is a good source of information on this tropical country in Southeast Asia. Within a year or two, this site is going to be "The Website for the Philippines." You're in this site now and it is "The Website for Philippine Stamps and Topical and Thematic Stamp Collecting." As the title of the site clearly suggests, this is me on Facebook and it is my social networking site. It contains a lot of photos about my country, the Philippines, as well as other information that are often found on social networking sites. This is a "photo album site" on my Philippines. more than 7,100 islands in Southeast Asia.